February sure is a busy month! 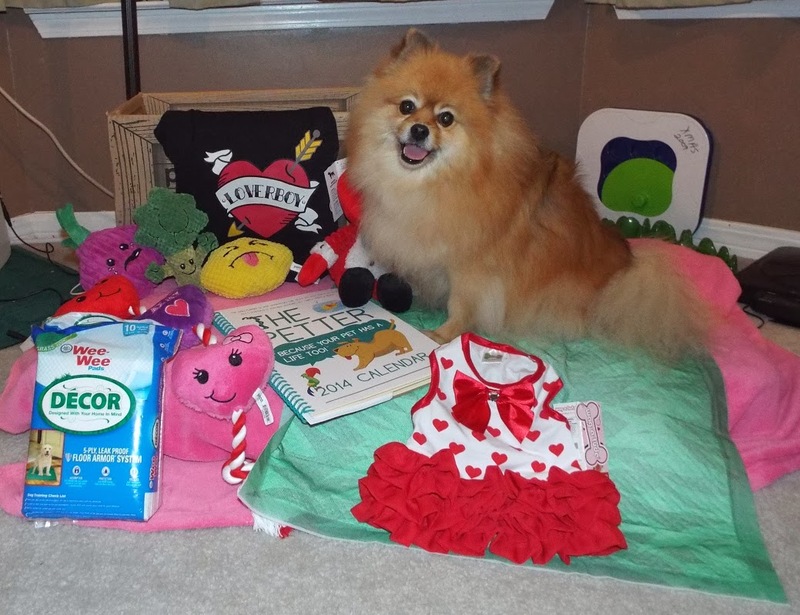 February is pet dental health month, spoil your pet month, Pepper's Paws blogifursary, and Valentine's Day! 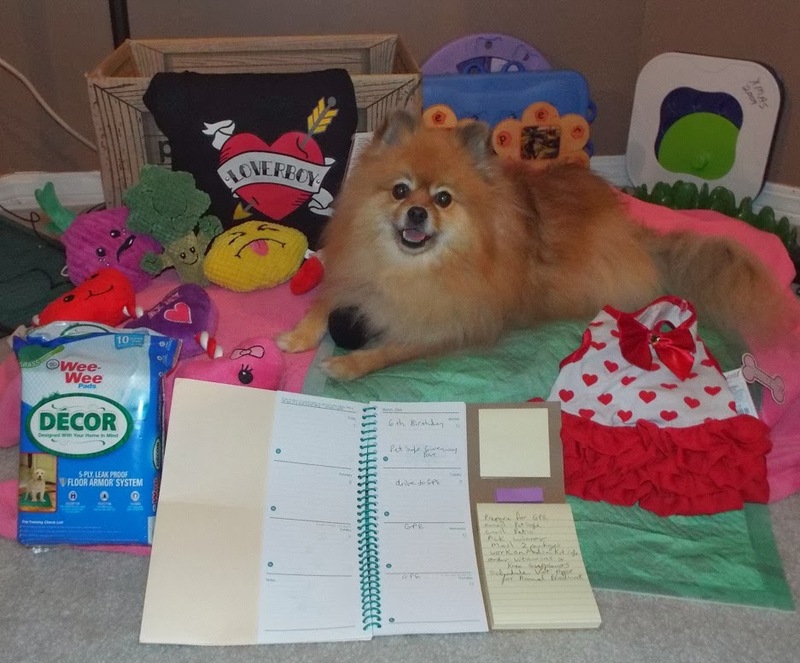 My pals at Petco sent a box full of furrific products to spoil me, and Mom uses my Petter Planner to keep track of my busy schedule. The UPS truck is here! Bark! Bark! Bark! I have a special box from Petco, it says "Top Secret"! OMD! What is inside? Wow! It's full of toys!! Squeaky toys!! February is spoil your pet month, so let the spoiling begin! C'mon Mom, give me my new toys from Petco. Forget posing for photos, I'm going to go play with my new Valentine Snuggling Pal! He has a big squeaker... right...here! Squeak! Squeak! Squeak! I love this toy! Naturally the Hearts on a Rope toy is pawfect for tug! I received some cute, fun Springtime toys too: Lemon, Onion, and Broccoli. The Lemon is really fun to fetch, like a Pom sized football. All of my new toys have squeakers, I tested them. BOL! The fabric on the Springtime toys is different. It is a nice, soft, textured type of plush. It is a little bit like a corduroy, but with a really thick "pile" like plush. Mom will go play with the new Wee Wee Decor pee pads while I play with Mr. Valentine. Yes, Petco sent me some furbulous new pee pads. They look like grass and leaves. The rich green color really hides the yellow pee circle. 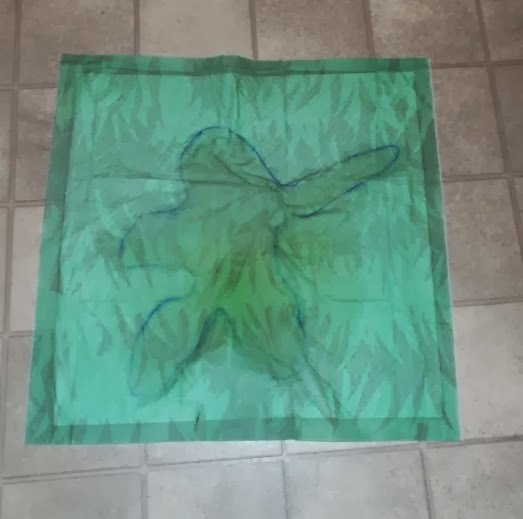 The blue outline is from Mom's water test that she does to all pee pads that I review. The round yellowish area is where I peed on it a few minutes ago. BOL!! You can barely see where I used this pad. I will pack some of these pads for my next travel adventure. The 2 oz water test results: It had a moderate use area - outlined in blue; the filling barely puffed as it absorbed; after a few minutes, it felt slightly damp to the touch; and the wet filling stayed in place when the pad was lifted. There were no leaks, the floor underneath remained dry. 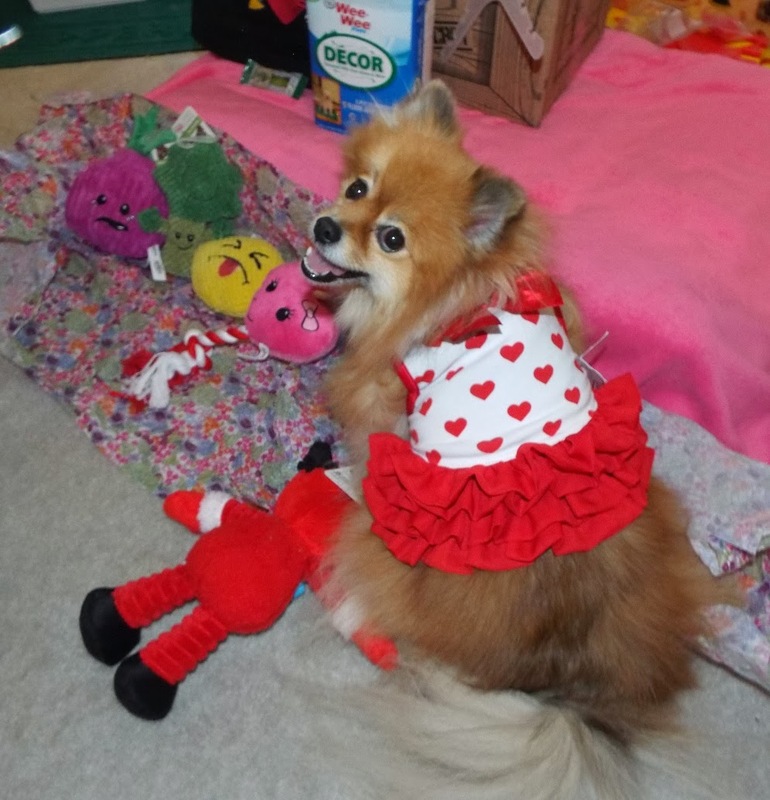 You're right, Petco did send me a beautiful Valentine dress. It's a little small, but it is so pretty that I just had to squeeze into it. BOL! I'm lucky the fabric is super stretchy. The red satin bow has a heart shaped crystal in the center. It is absolutely adorable! 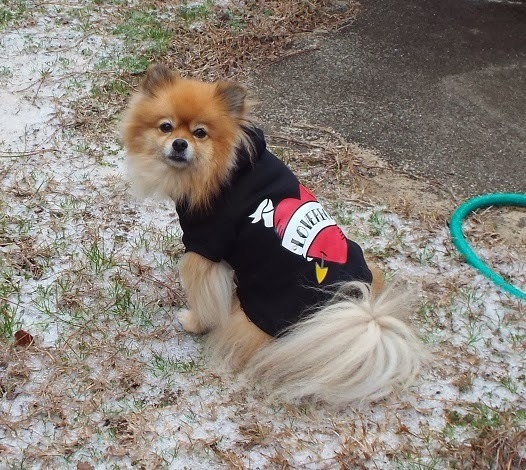 Baron is modeling the Loverboy hoodie. It fits me, but I'm a girl. BOL! However, I did borrow it when my yard had that cold white stuff. Remember the flying "pigs"? BOL! I know some of my small pals will want to know about the sizing. 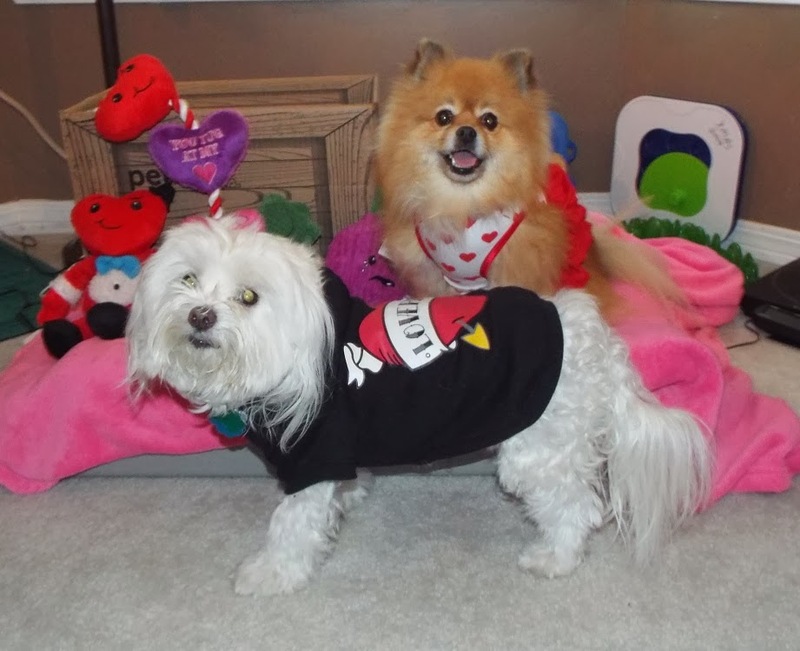 The hoodie and Valentine dress are from Petco's Wag-A-Tude brand. The hoodie is a medium, and it fits me pawfectly. In other brands I usually need a large. I checked the tag, and a Wag-A-Tude medium fits chests measuring 17 - 21 inches. I have a 20 inch chest, so the medium is the right size for me. The sizing runs a little larger than most small dog clothing brands. Normally I can't even get a medium past one front leg. BOL!! The dress is a size small, so that would be equal to a medium in other brands. A Wag-A-Tude small fits chests measuring 15 - 17 inches. This year I have a Petter Planner to help me manage my impawtant dog business. There is a section for Mom to write down all of my information. It is useful to have all of the information in one spot. I think pet sitters would really appreciate if owners kept a handy book like the Petter. Then they would know where the pet likes to hide, who the vet is, any medical issues, how much to feed, favorite toy, etc. 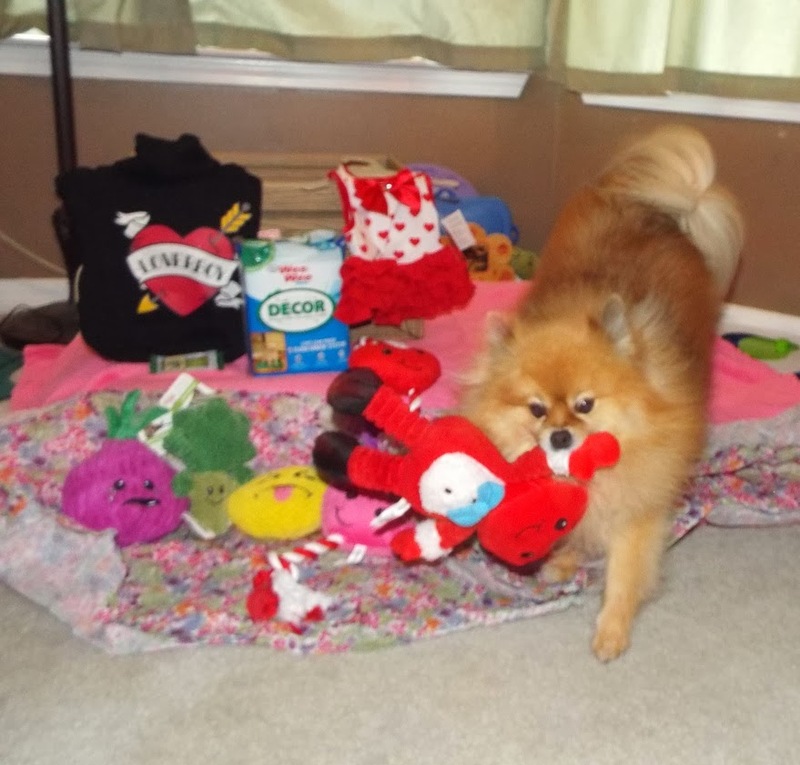 Since Pepper's Paw is 2 years old, I am giving away 2 prizes! 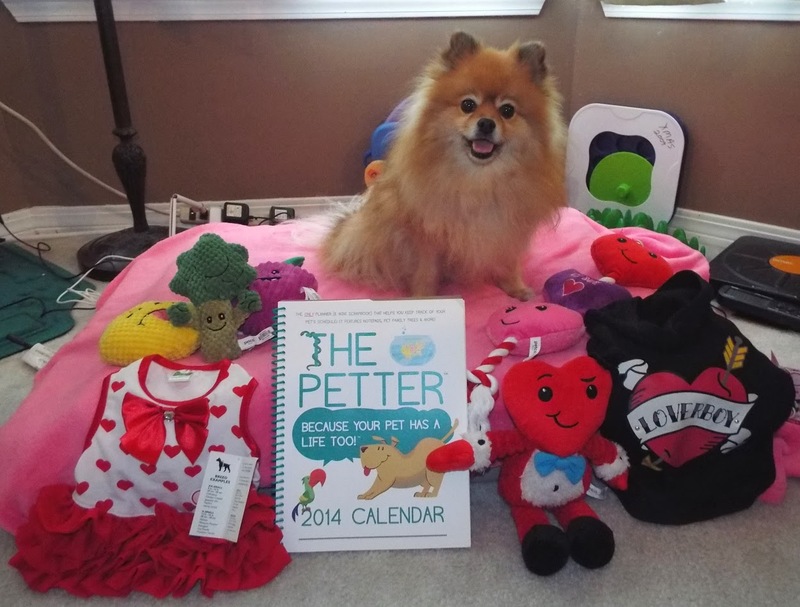 One winner will receive a Petter Planner. 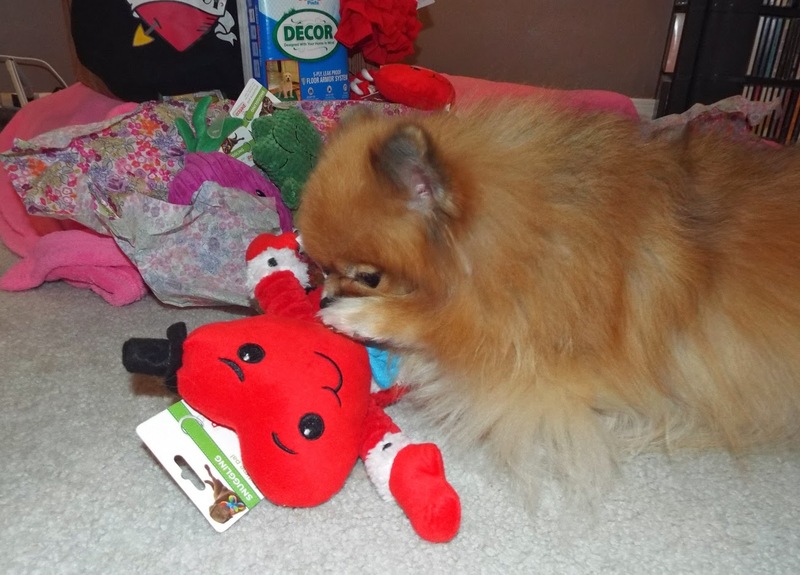 Another winner will receive a Petco Together Time Tug & Pull Hearts on a Rope toy. There is a squeaker inside each heart! The winners will be chosen on Valentine's Day! Giveaway Disclosure: I did not receive any monetary compensation for this giveaway. The company will ship the prize directly to the winner. I am not responsible for lost/missing prizes. The opinions in this giveaway are my own and not influenced by any outsider . I receive no additional benefits for talking about the product or company. I only ship to USA addresses and you must be 18 to enter. We're entering for the Petter and the toy! I need the Petter to keep up with Dobby's performances, vet visits and competitions and Dobby wants the toy to play with. I also love the Loverboy hoodie! I am entering for the Petco toy. I would probably keep track of my dog's and cat's flea protection dates in the planner and I am most interested in the red and white dress with the hearts. I'd like to win the toy. My mom's dog LOVES toys...especially new ones. 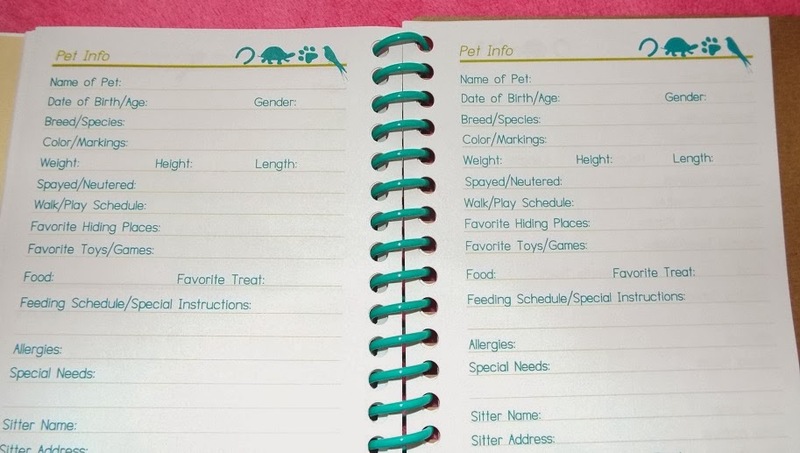 I'm reviewing a Petter Planner next week, pretty nifty calendar we think :) The PetCo stuff looks pretty awesome too! I love getting packages in the mail. Sure wish that dress would have fit you because you look adorable in it. Isn't that Petter the coolest thing next to bacon? I love mine. I even put the time slot of 8-9pm -play with kitten. This way I never forget. Love the review of goodies! Good Luck Barbara! The Petter does come in really handy for vet visits...keep all your info in one place with the handy pockets. When the appointment comes, just grab The Petter and go! I would like either but the pet planner would help me stay organized. Artie would love the toy, he is not into vet appointments. I would keep track of events for dogs too. I am entering for the Petco Together Time Tug & Pull Hearts on a Rope toy. I would feel like a loser if my dog had more events planned then I do -- which is usually the case since I like doing dog stuff with her. No way, Molly, that means you're an AWESOME dog mommy! ;) Good luck! I am entering for the Petco Together Time Tug & Pull Hearts on a Rope toy. I would keep track of my dog's vet appointments, shots, doggy events etc. I love the little heart dress :) Too cute! That would be perfect! Good luck, Shelley! Definitely enter for both! Our dogs are busy so we have a lot of classes, workshops and shows to keep track of with the Petter! Awesome, Jenna! The Petter will definitely help you keep track of everything. Good luck! At the risk of sounding greedy, both please! We travel a lot and it's important to have Huffle's information and medication schedules in order at all times. The Petter is great for traveling and would be a perfect tool to keep Huffle's records and medicine schedules. Good luck, Dogmama!! I would say I'm leaning more towards the toy, but would love both. ;) Any toys that make my dogs happy/stimulated are good for me! I'm entering for either one. The planner is a really good idea. I have 3 dogs and it's hard to keep track of everything. The toy is really cute and my chi weenie would love it. Thank you, Bonnie! 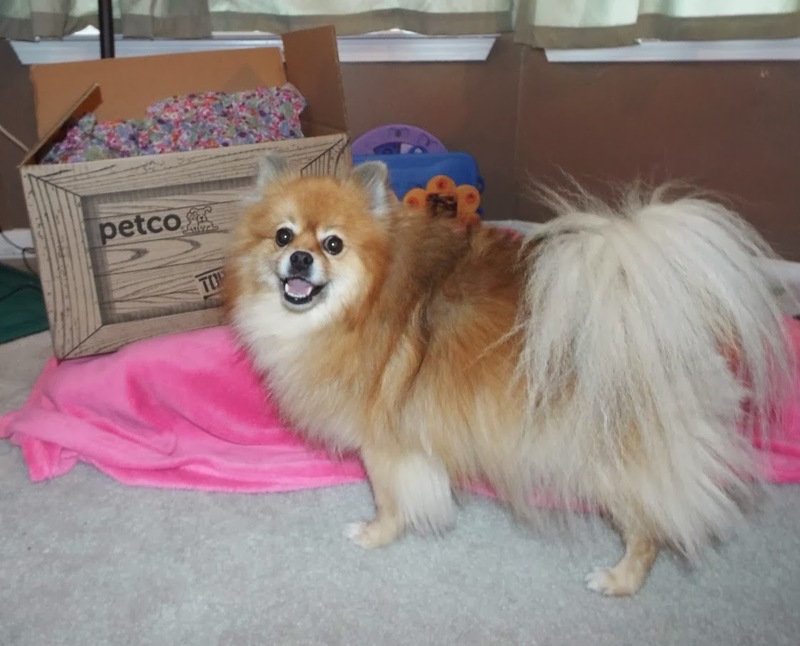 The Petter makes life much easier when it comes organizing info for pets. And since you can keep track of info for up to 6 pets, it would be ideal for your 3 dogs! Good luck! Awwww you guys are pawsitively adorable!! Especially in your little outfits!!!! 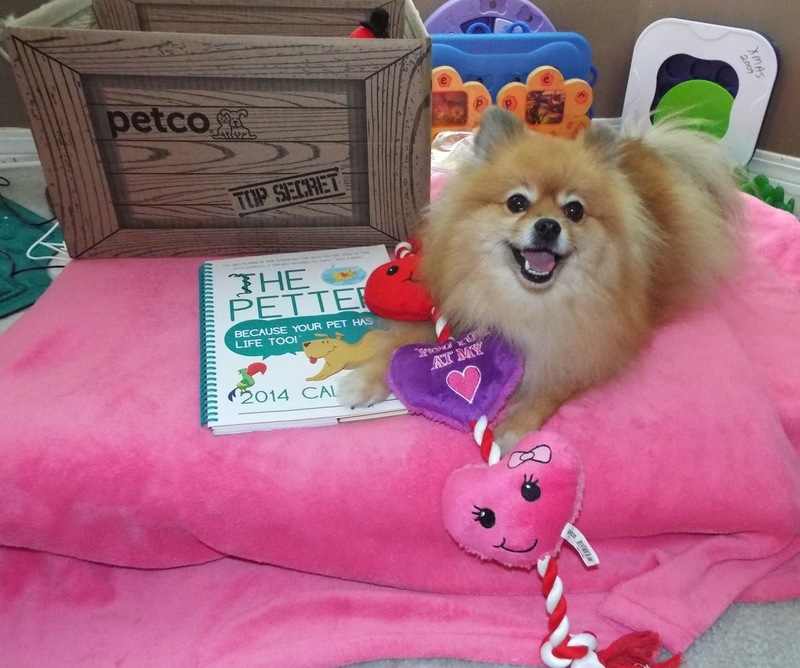 Are you entering for the Petter Planner, Petco toy, or entering both giveaways? YES both! Which of Petco's new products are you most interested in? a new puzzle toy! Good luck, Ruckus! Thanks for entering! P.S. - You're not the only one who hates bath time!